Our doors are open every day from 10am. Grab a coffee, enjoy a meal, join a workshop, glimpse backstage or catch a performance. 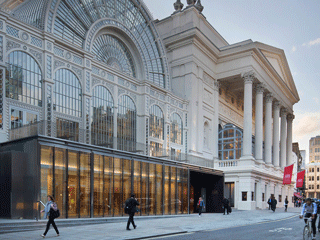 The Royal Opera House is in Covent Garden, in the heart of London's theatreland. Entrances are on Bow Street and from the Covent Garden Piazza. The nearest Underground stations are Covent Garden, Leicester Square, Holborn and Charing Cross. Our doors are open to the public from 10am every morning. Please note individual spaces may be open at different times. There is step-free access to our ground-floor foyers, café and shop, and wheelchair spaces in all of our performance spaces. 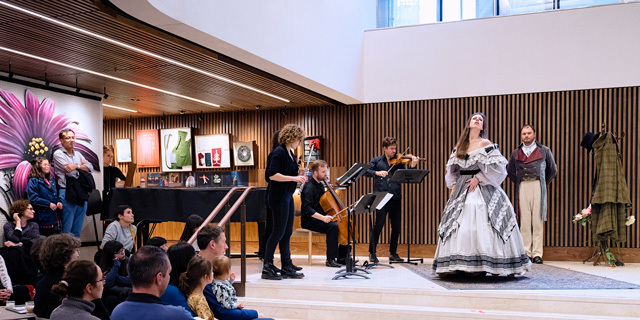 Read more about access information at the Royal Opera House. We offer a free Access Membership and dedicated box office to all with accessibility requirements. Find out more or contact us on 020 7304 4000 or through boxoffice.access&commat;roh.org.uk.